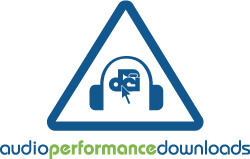 Drum Corps International Audio Performance Downloads (APDs) are here for the 2007 summer season! After select 2007 Summer Music Games Tour events, you'll be able to purchase and download audio files of your favorite corps performances straight to your computer's hard drive. APDs of corps at the New London, Conn. Drum Corps International event on July 14 are now available including performances of 7th Regiment and Targets. APDs of corps at the Wilmont, Wis. Drum Corps International event on July 22 are also now available including performances of the Colt Cadets, Capital Sound and Les Stentors. Remember, DCI.org Fan Network Platinum Members receive a $1 discount on all downloads, and 100 percent of the proceeds from the cost of all downloads, go back to the corps to help offset annual touring costs. Purchase APDs from New London, Conn.
Purchase APDs from Wilmont, Wis.
View the 2007 APD recording schedule.